In my last post, I wrote about "Introduction To Crocheted Sweater 'Foggy Dawn'". 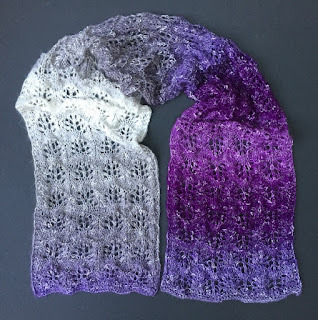 There, I published links to videos where I am demonstrating how to join granny squares used for this project. 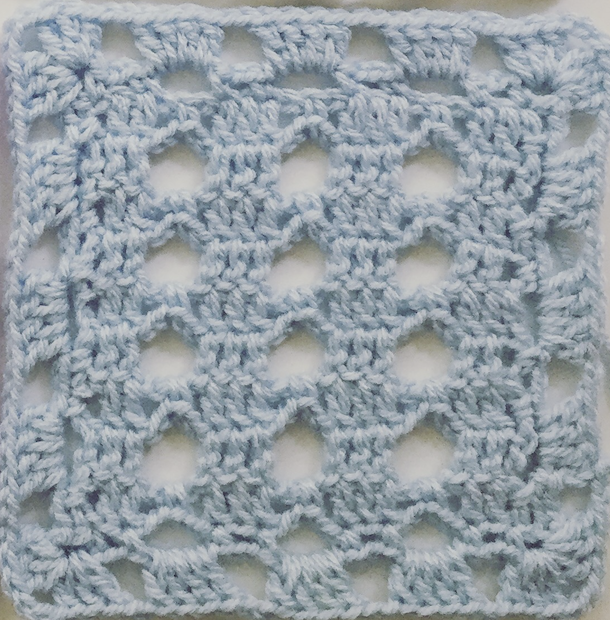 Today, I will introduce my first granny square for "Foggy Dawn" sweater. Please, take your time and read few pointers (I will talk about them in my videos as well), which I figured out later while I worked on my project, and which lead to my realization that I have to rework parts of my sweater or rejoin squares. As I mentioned in my "Intro" post you need to attach each "granny" to another one as you go. If you are using several colors, make sure that your colors alternate in the best possible way. Plan each square color ahead of time - draw a diagram of your sweater and fill the colors into each square as you would like them on your finished project. Try to alternate your different type of squares so they are also visually pleasing to the eye. Number your squares and write those numbers into each square of your diagram. Leave weaving your tails (ends) as the last task, just in case you need to re-work your joining. Have fun creating something beautiful. You can use these squares not just for a sweater, but also for blankies, vests, purses (for a purse you would need to sew in a liner), etc.